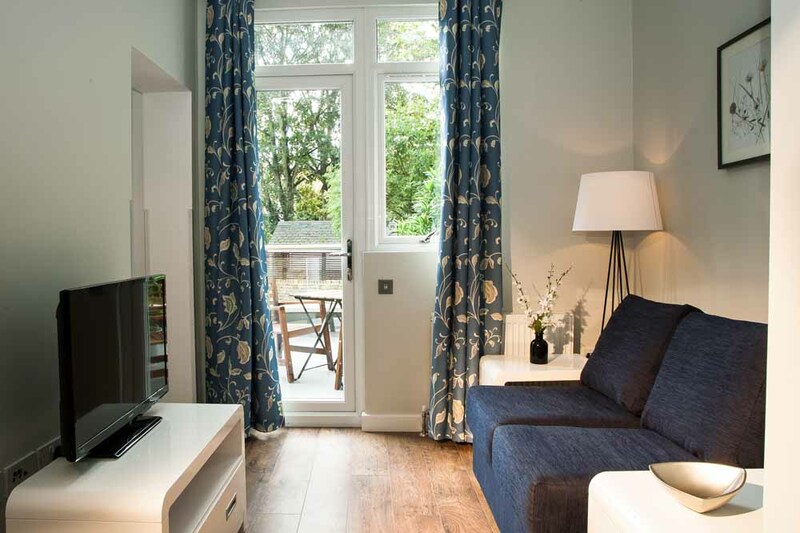 Brook Green Apartments are located in a quiet residential area in Hammersmith..
Brook Green Apartments are located in a quiet residential area in Hammersmith and close by to many international company headquarters such as Coca-Cola, GE Healthcare, L'Oreal and Sony. 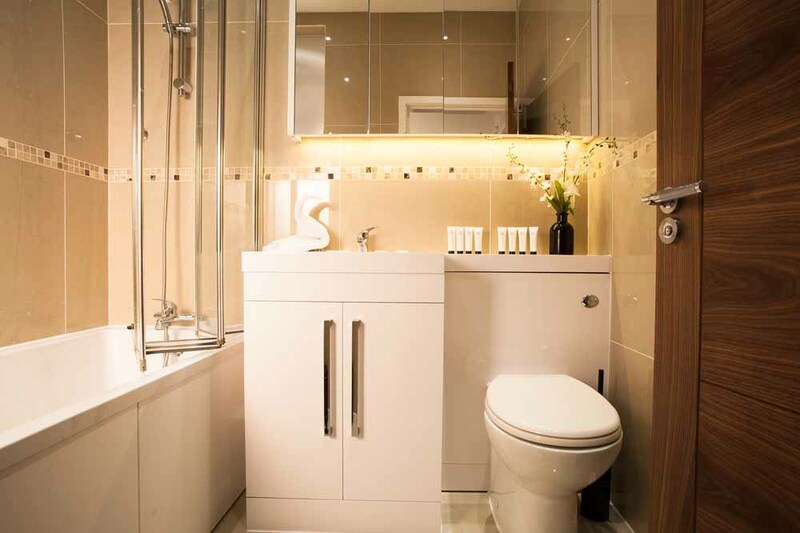 Ideal for both business and leisure travellers, these apartments are close by to top London attractions as well as commercial centres. 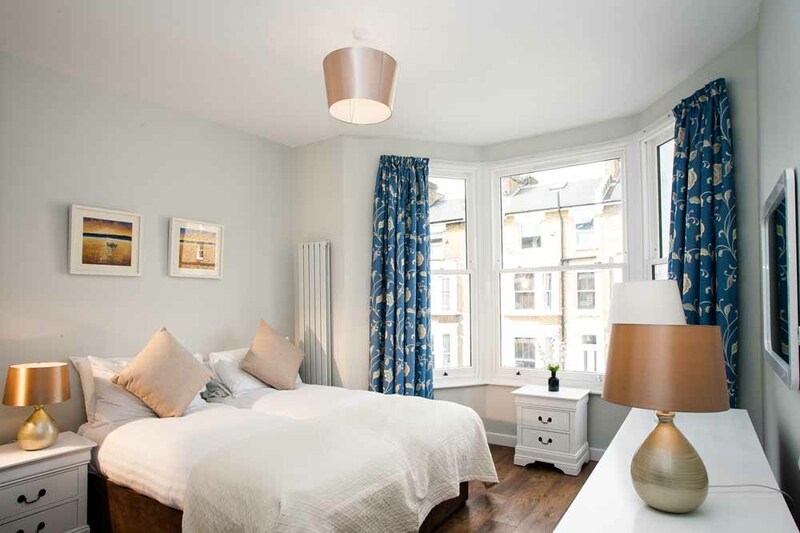 Hammersmith and neighbouring areas, Earl's Court, Kensington and Shepherd's Bush offer a vast array of entertainment options such as the Lyric Theatre, the Apollo Theatre and Olympia Exhibition Centre while superb transport links in the area mean that central areas are within easy reach. 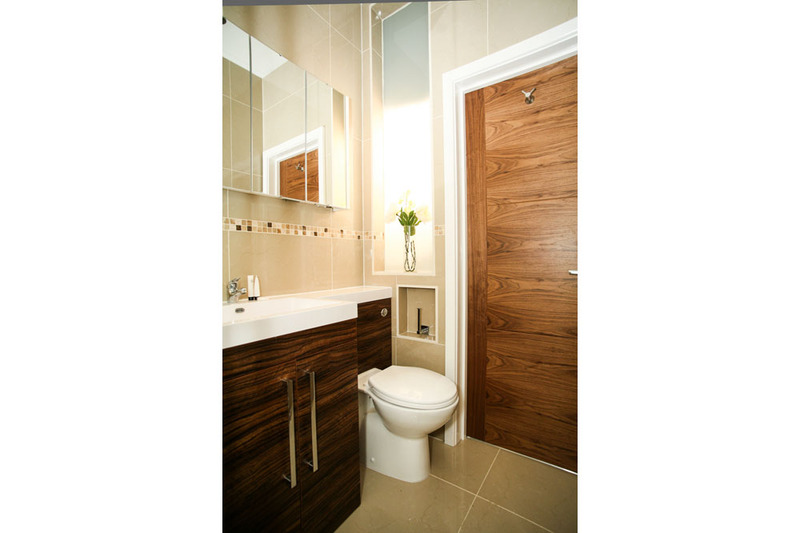 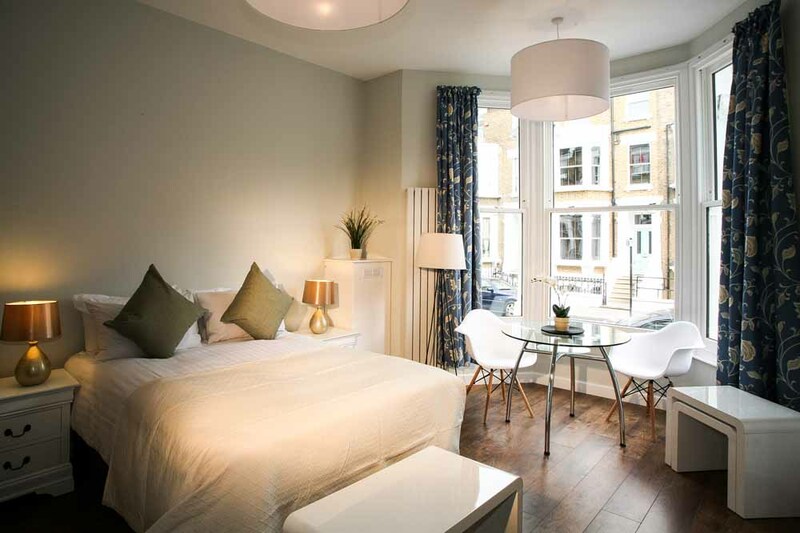 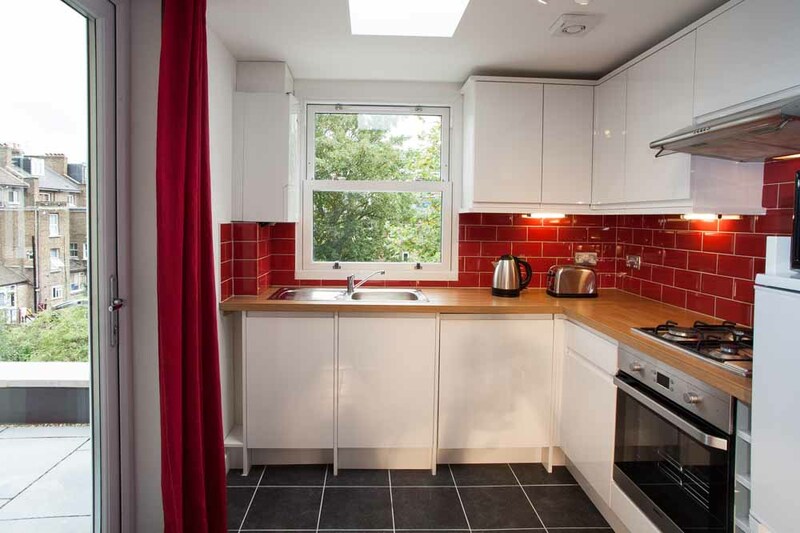 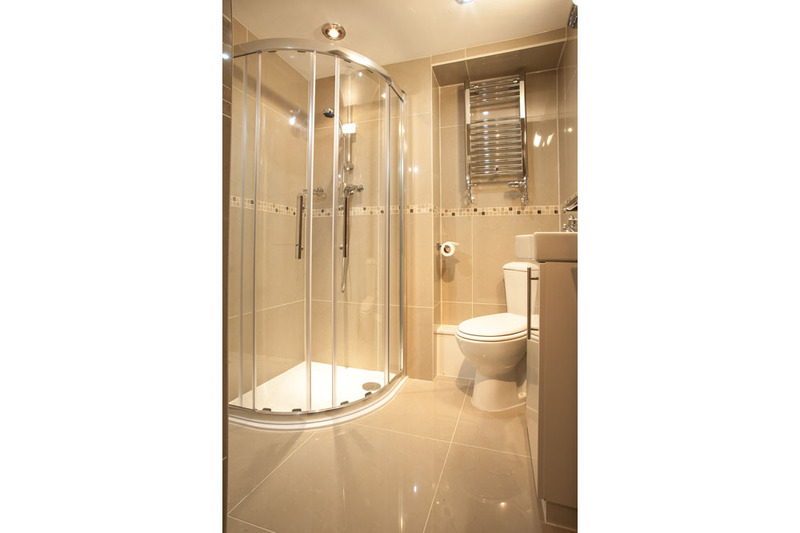 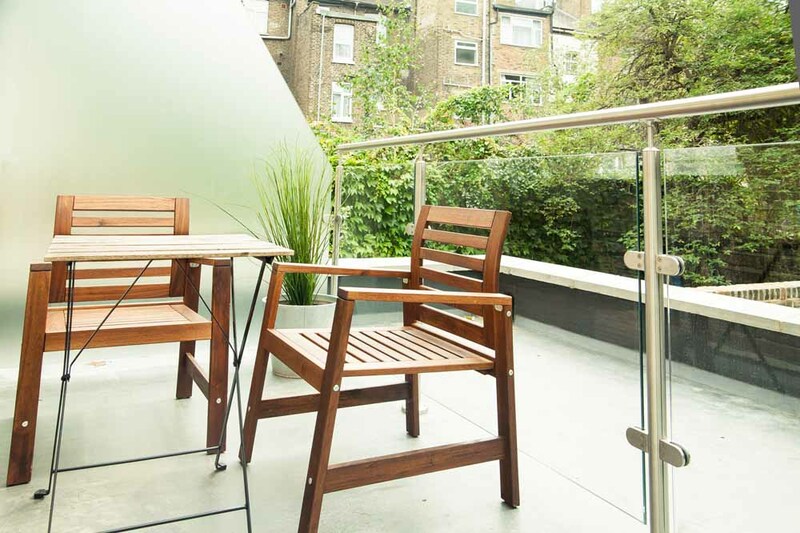 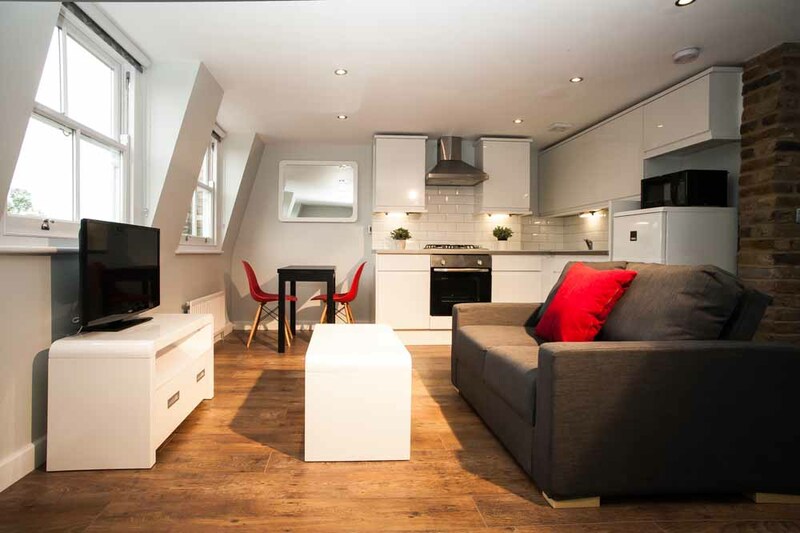 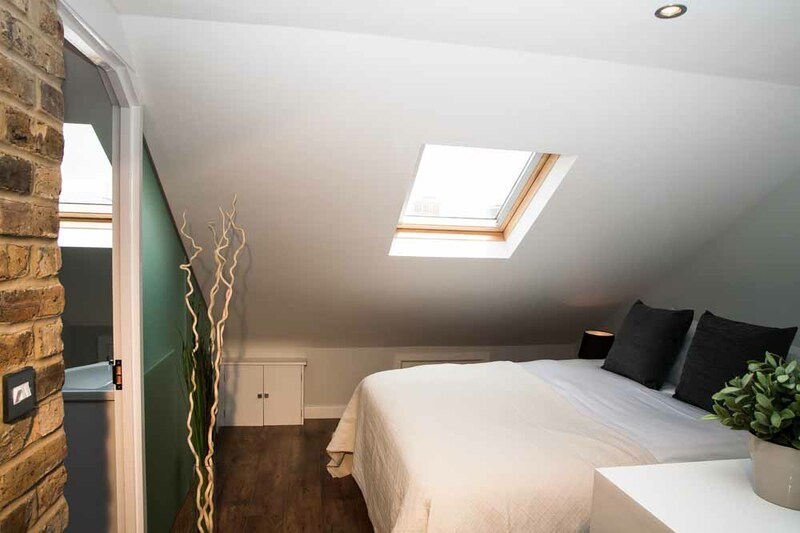 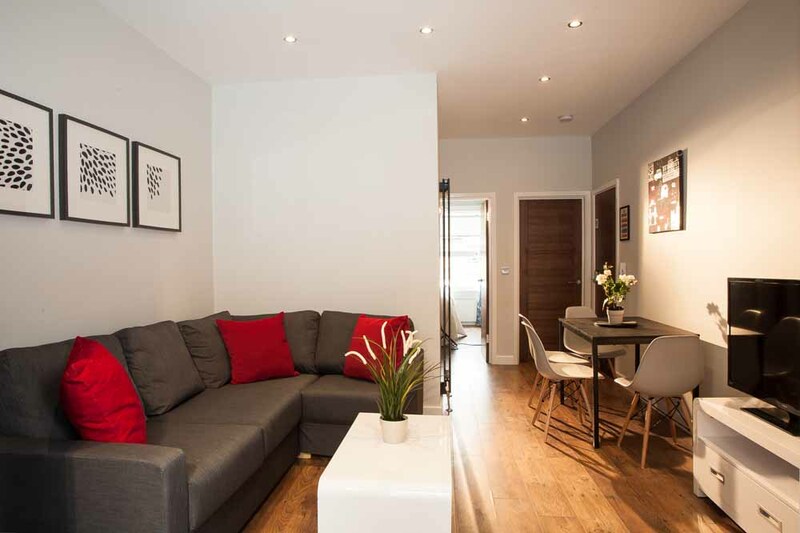 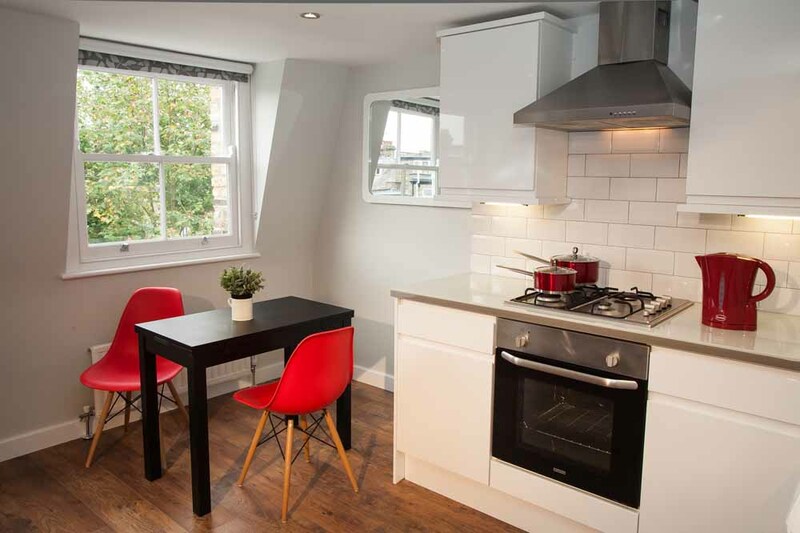 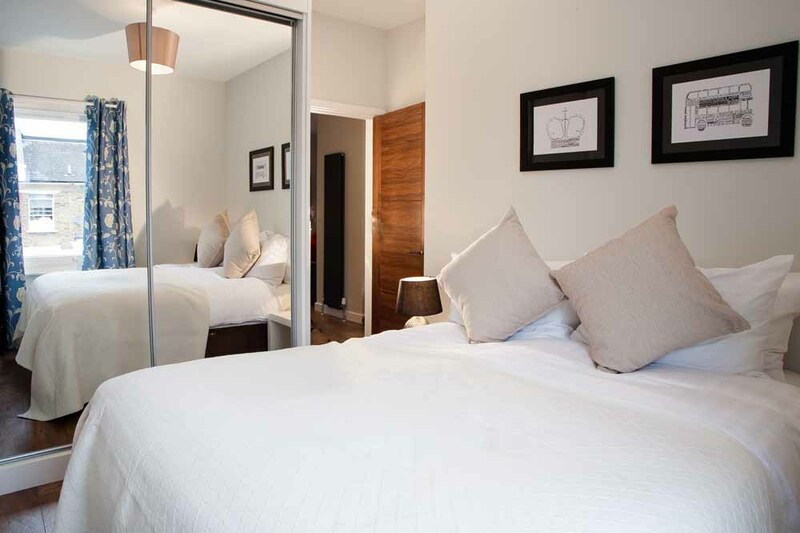 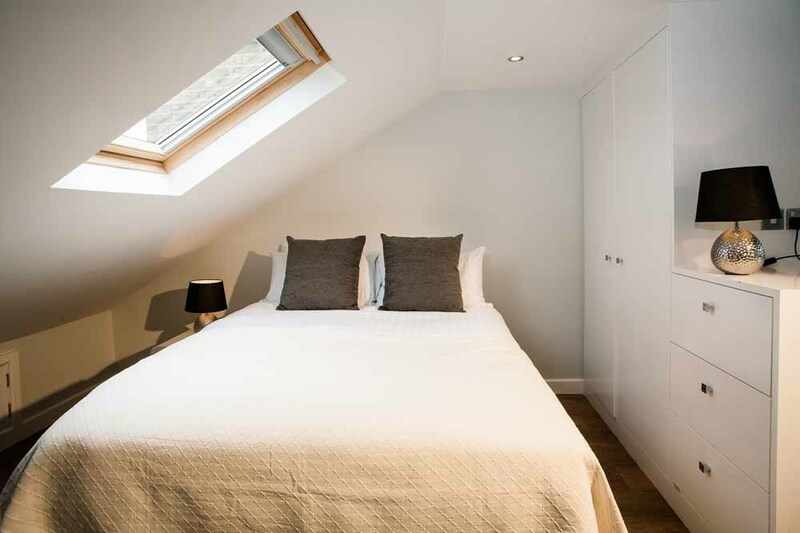 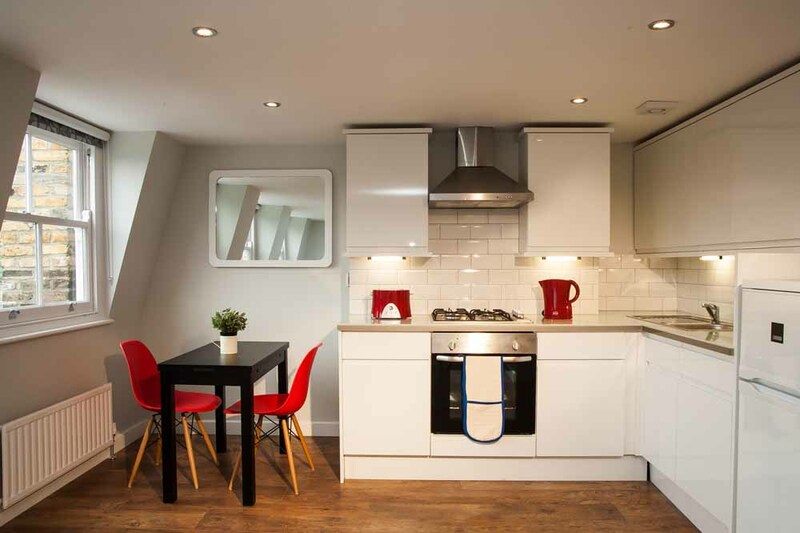 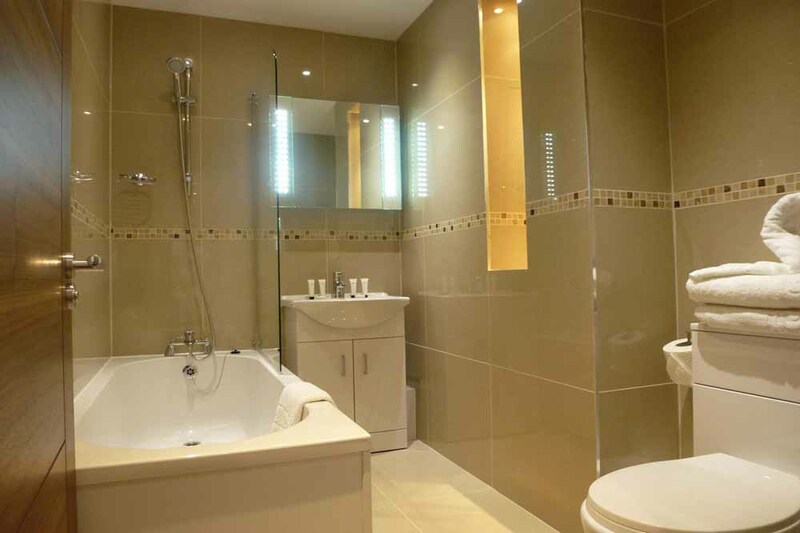 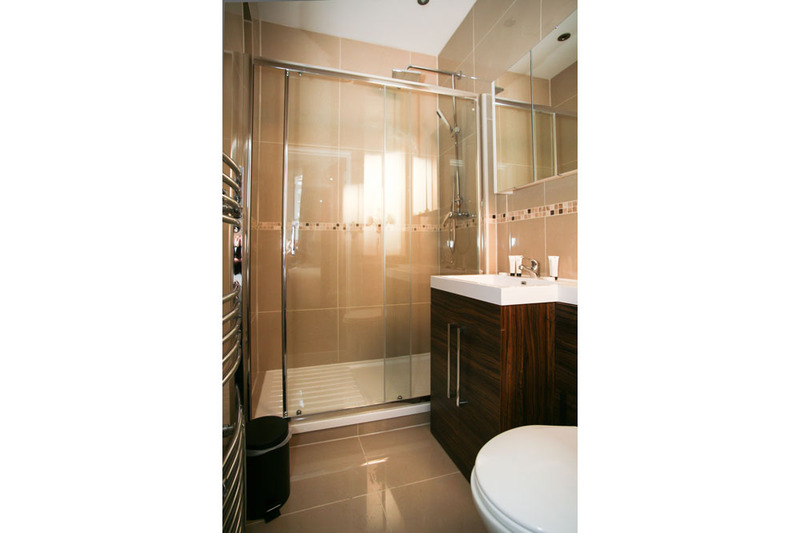 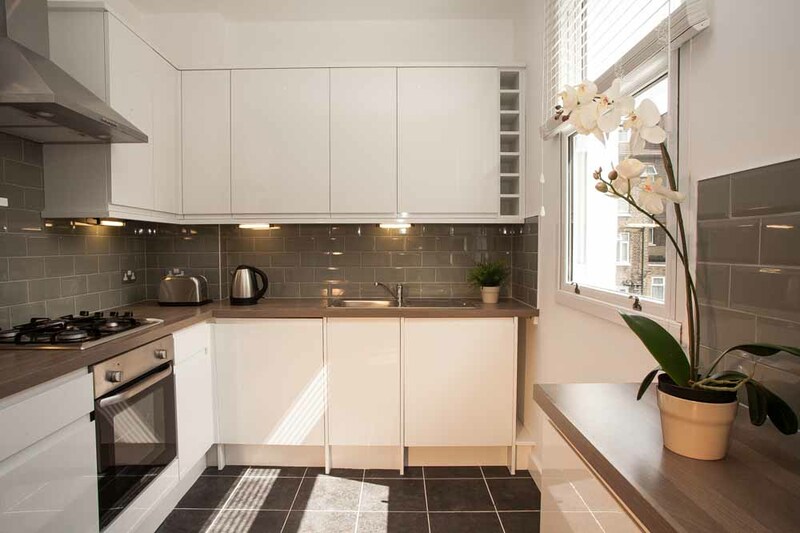 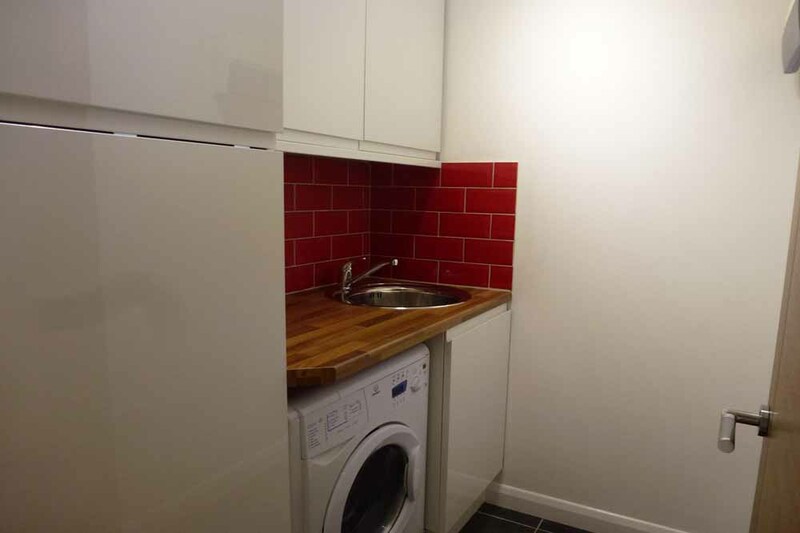 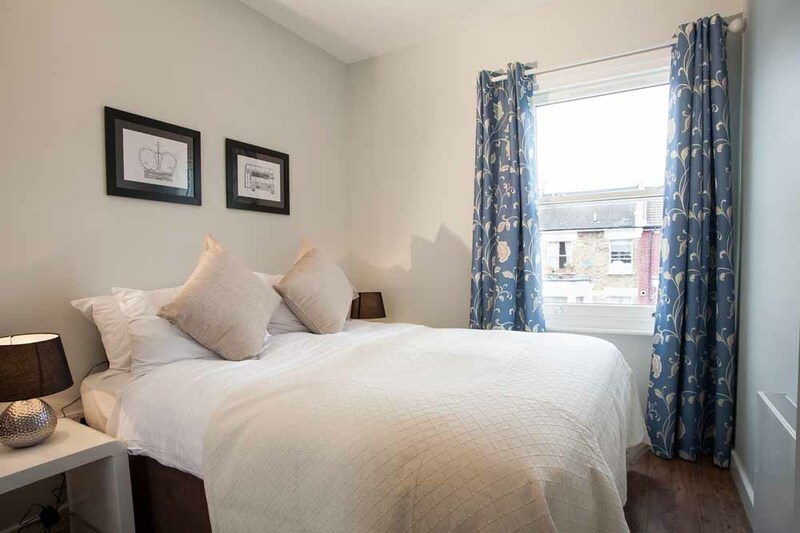 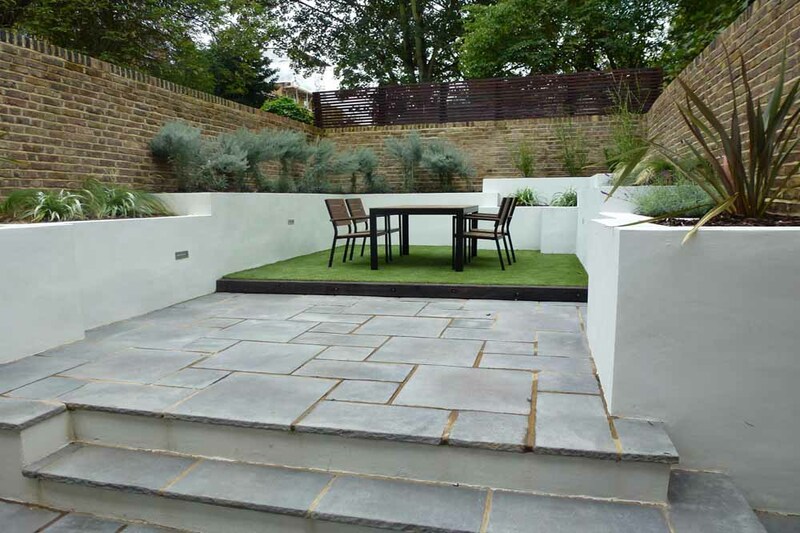 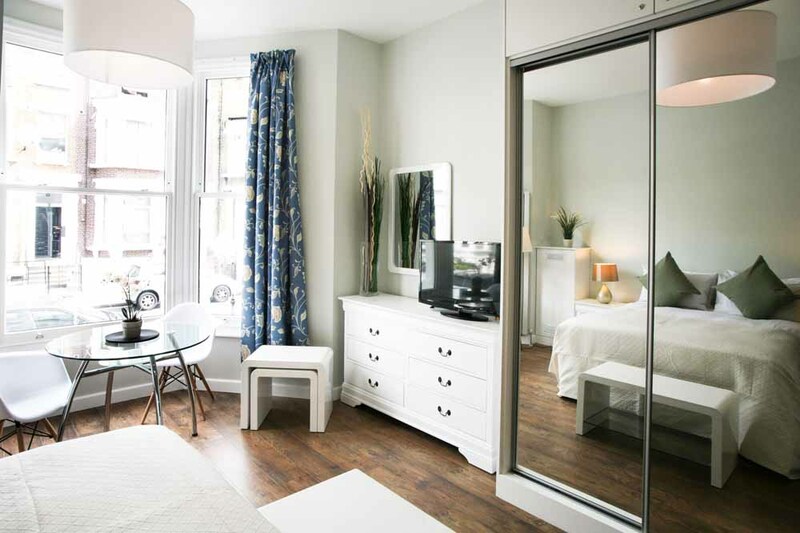 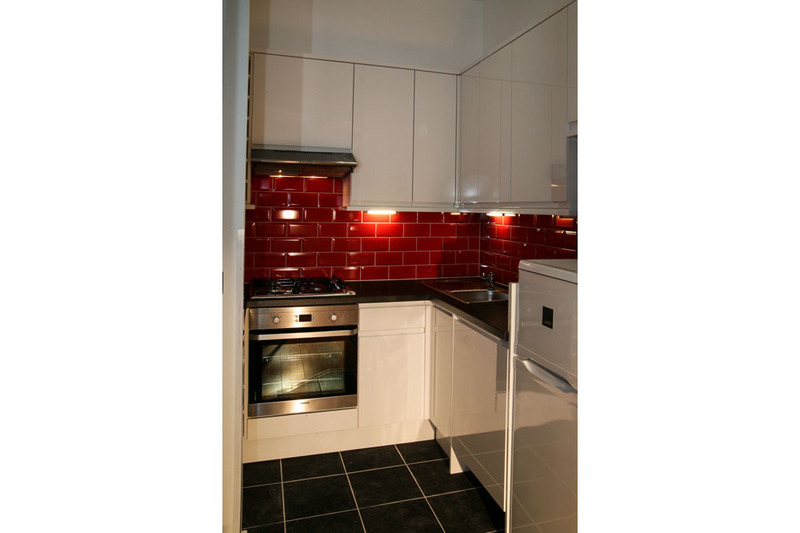 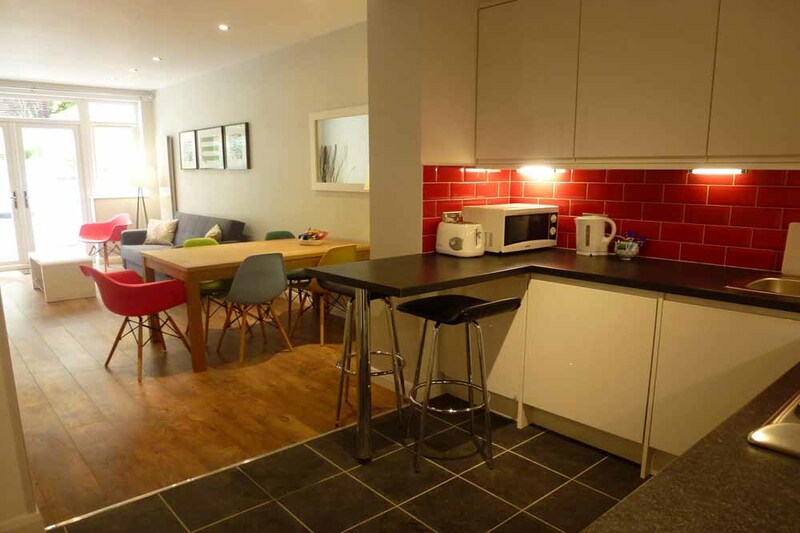 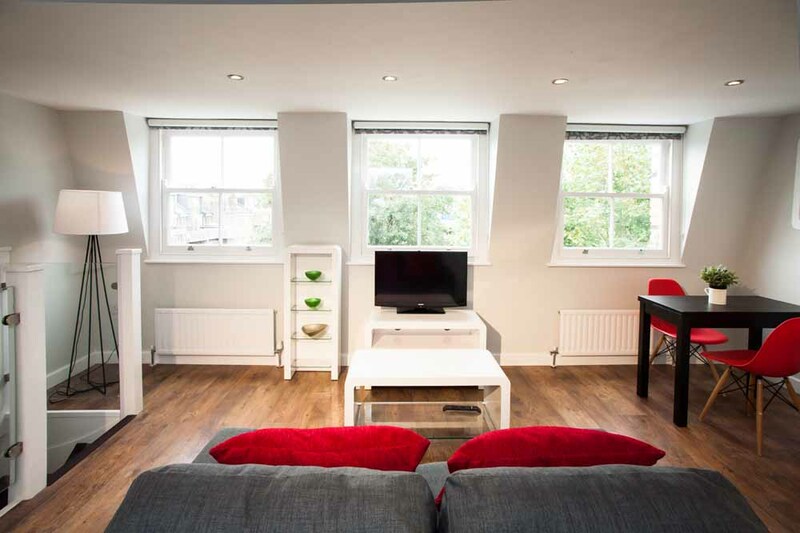 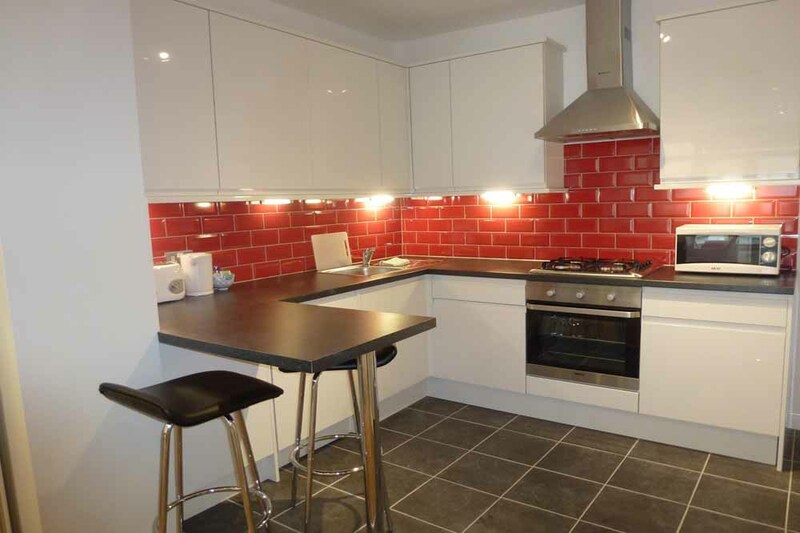 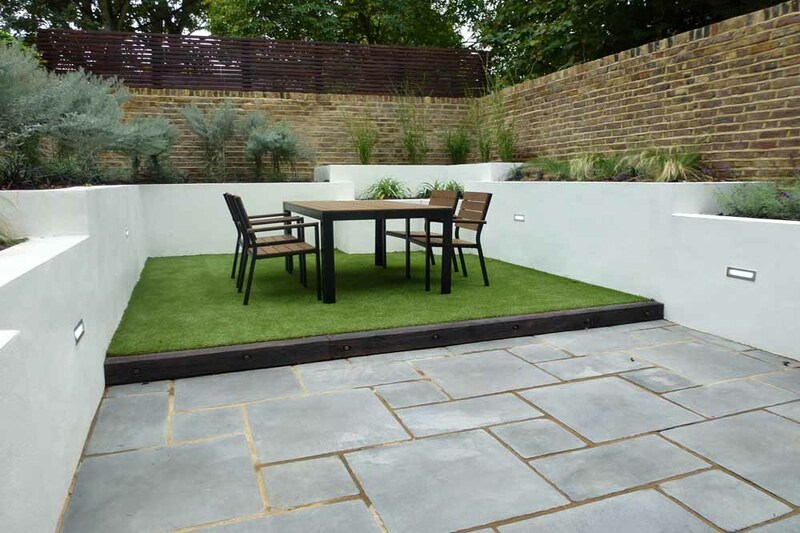 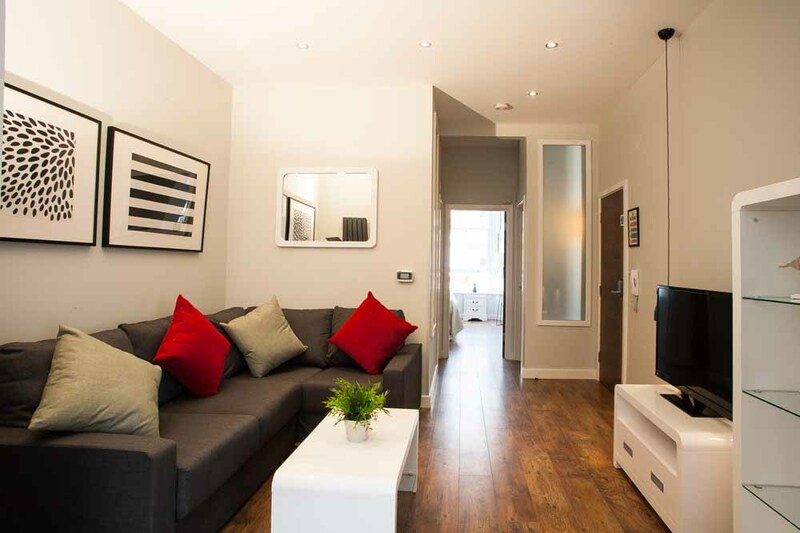 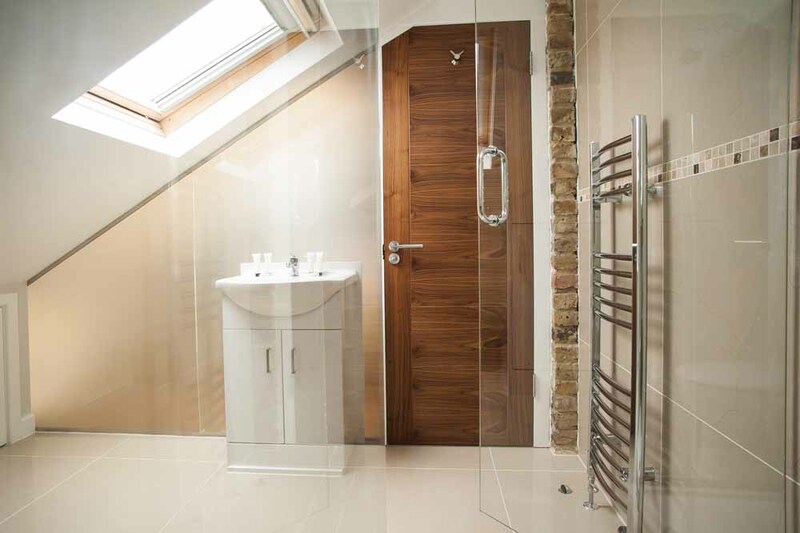 Brook Green Apartments are a newly refurbished set of studio and two bedroom apartments in the heart of west London. 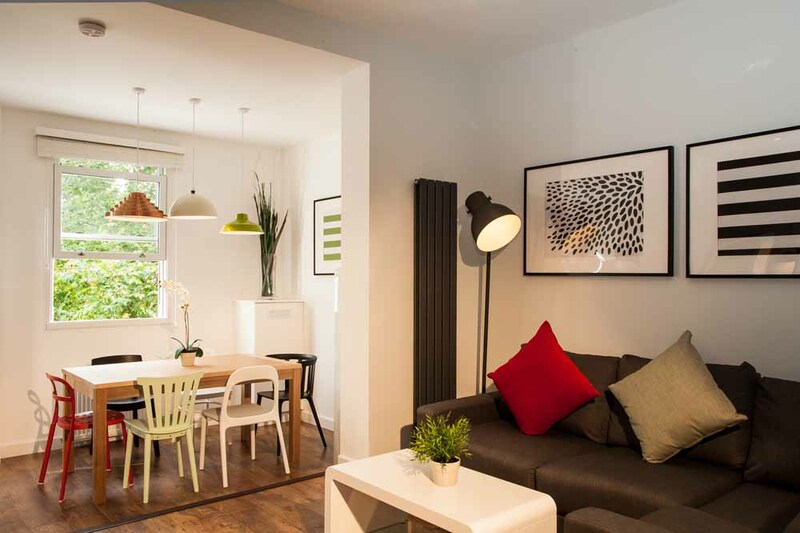 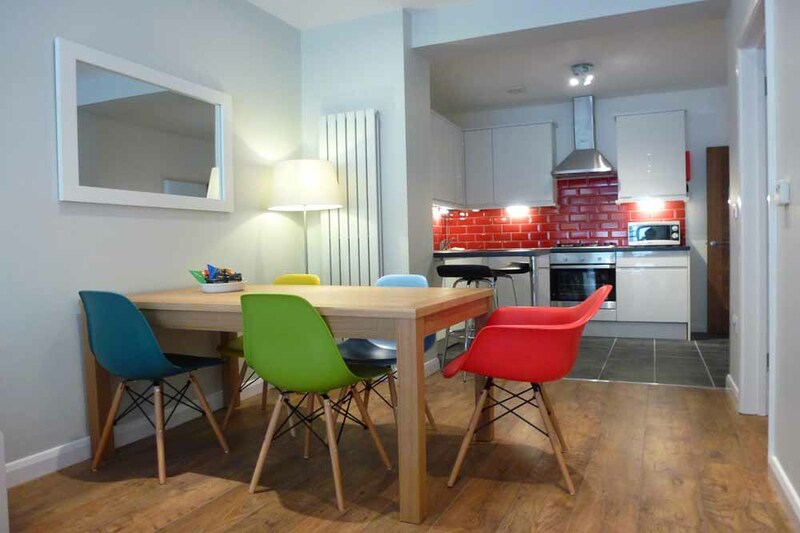 With bright and colourful interiors, these apartments are set within a period conversion and boast contemporary furnishings as well as spacious living areas. 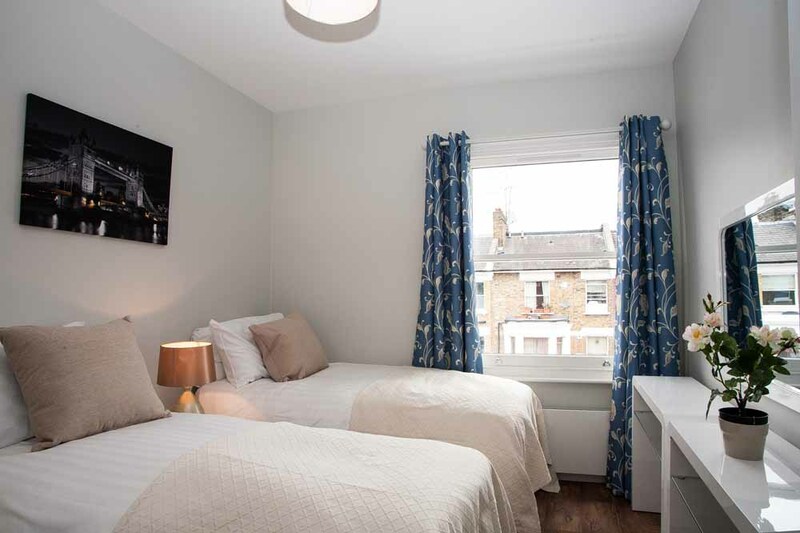 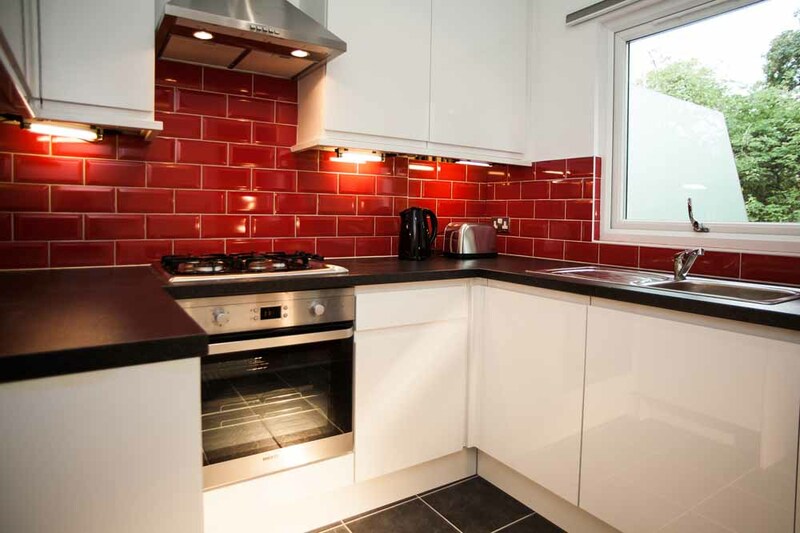 Weekly housekeeping, fully fitted kitchens and free wireless internet combine with modern decor and balconies (in some apartments) for a pleasant and comfortable short stay in London. 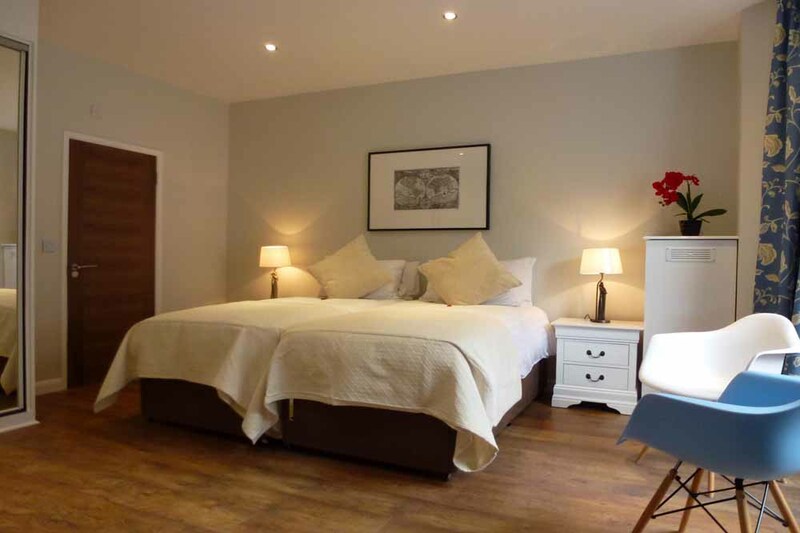 Sleeps two and has a combined living and sleeping area, a double bed, one shower room and a fully equipped kitchen. 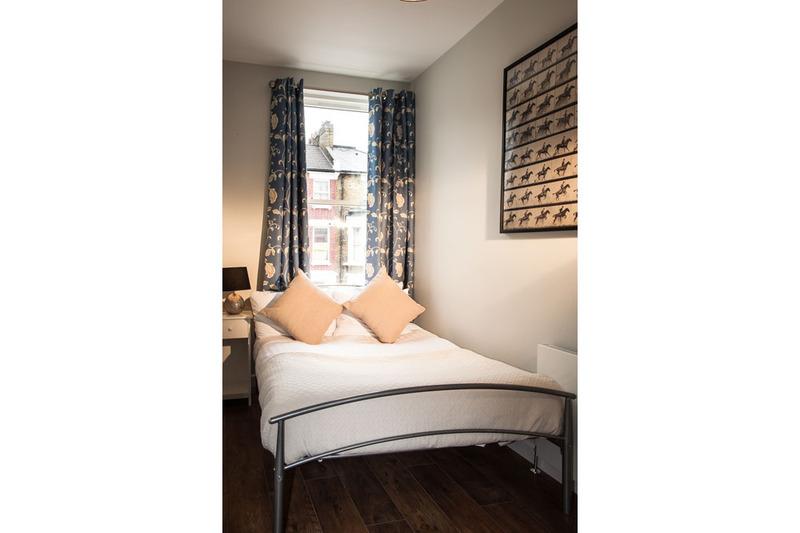 Sleeps four and has two separate bedrooms, king size beds, one bathroom, a fully equipped kitchen and a spacious living and dining room. 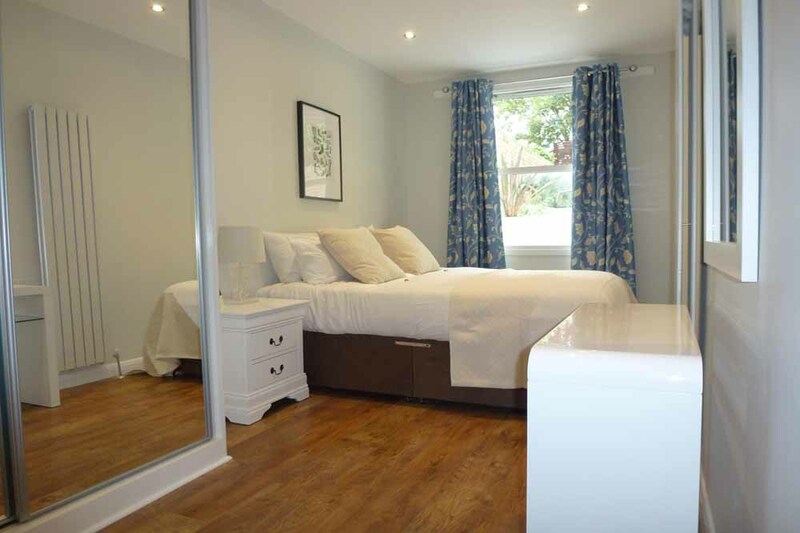 Sleeps four and has two separate bedrooms, king size beds, two en suite bathrooms, a fully equipped kitchen and a spacious living and dining room. 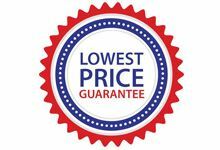 Cancellations / Amendments For cancellations received more than 7 days prior to arrival a full refund will be provided.